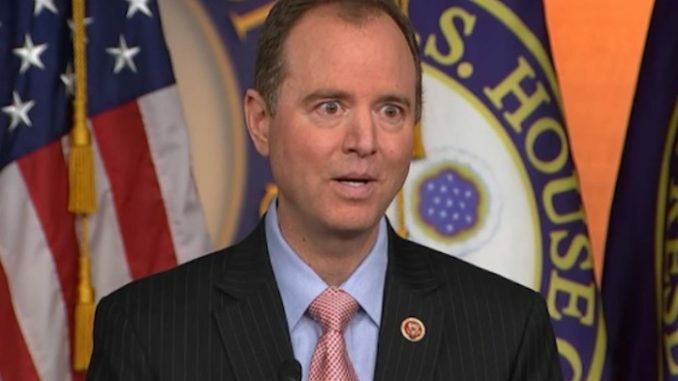 President Trump has urged House intelligence chairman Adam Schiff to resign immediately for misleading the American public and putting national security at risk. “Congressman Adam Schiff, who spent two years knowingly and unlawfully lying and leaking, should be forced to resign from Congress!” Trump tweeted. Reuters.com reports: Hours after Trump went on Twitter to demand that Democrat Adam Schiff resign from Congress, Republican lawmakers called on him to quit as chairman of the bitterly divided House of Representatives Intelligence Committee because of his comments about the president’s 2016 campaign and Russia.